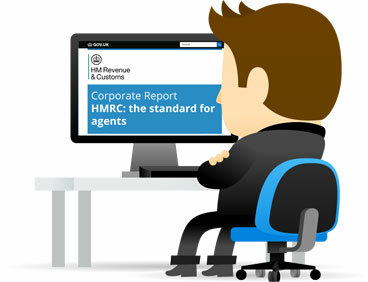 What Standards & Expectations Have HMRC Set for Tax Agents? What Does HMRC Expect From Your Tax Agent? HM Revenue and Customs fully appreciate that most contractors will feel the need to enlist the help of a tax agent to ensure that they fulfil their tax obligations but they do expect those who represent or give advice to taxpayers to conduct themselves according to certain standards and demonstrate a committed approach to promoting tax compliance. As a contractor looking for and choosing an agent, it is worth having an understanding of these standards and expectations to ensure that you find the right tax agent from the outset. The purpose of this article is to give an overview of HMRC’s “Standards for Agents” and to provide tips on what to look out for to ensure that you find an agent who will meet their expectations. What standards and expectations have HMRC set for tax agents? On the 3rd of August 2016, HMRC published a “standards for Agents” document which simply and succinctly outlines the standards that they expect within three core principles from those operating as tax agents. These principles are Integrity, Professional competence and due care and Professional behaviour. The expectations as detailed in the document can be seen below. not imply that they are regulated for tax by HMRC – you will often see companies that claim to be HMRC compliant or regulated (even using their logo) to try and look more credible to Contractors. What can I do to ensure that I am choosing a tax agent that will meet the expectations of HMRC? The Standards for agents document referred to above appears to be aimed at those tax agents who are not members of any of the recognised professional bodies that set standards for professional behaviour in this field. Worryingly, there are tax agents out there who are offering advice to contractors who are members of organisations with minimal or no compulsory codes of conduct. pass rigorous exams covering financial reporting, financial management, auditing, taxation, strategy and business analysis. Chartered accountants are required to adhere to the standards set out in a detailed 52-page code known as Professional Conduct in Relation to Taxation (PCRT) which ensures that the standards expected by HMRC are met. Are there any other benefits to choosing a Chartered Accountant? Absolutely. A chartered accountant must have professional indemnity insurance if they are offering accountancy services to the public. Therefore, if you use the services of a chartered accountant and a mistake is made that would cost you money, the costs incurred would be covered by their insurance. Tax agents who are not Chartered Accountants are not obliged to have this safety net in place. In addition, Chartered Accountants must have a complaints procedure available to their clients and if a complaint cannot be resolved internally then the firm’s regulating body (ACCA, ICAEW, CIMA, CIPFA) can get involved. Knowing that chartered accountants have undertaken rigorous training, have detailed codes of conduct to abide by, have reputations to uphold, and are obliged to have both professional indemnity insurance and structured complaints procedures in place, means that you can feel very comfortable relying on the advice that they offer. Here at Freestyle Accountancy, we are a firm of highly qualified and experienced chartered accountants. 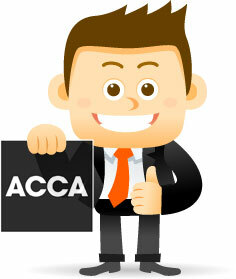 We are regulated by ACCA and committed to providing an excellent service to our clients. We will make Limited Company Contracting easy and stress free for you and enable you to retain as much of your contracting income as possible whilst ensuring that your tax obligations are met. We are committed to working at all times to the high standards of professional conduct expected by HMRC. If you are looking for a chartered accountant or have any further questions relating to tax agents and the standards set by HMRC, please do not hesitate to contact us on 0800 954 2101. We would be very happy to help.